Renting in Raleigh: What will $1,700 get you? We've rounded up the latest rental listings via rental site Zumper to get a sense of what to expect when it comes to locating housing in Raleigh with a budget of $1,700/month. Listed at $1,700/month, this 900-square-foot one-bedroom, one-bathroom apartment is located at 301 Fayetteville St., #2602. The building offers garage parking, a swimming pool, a fitness center, storage space, outdoor space and a residents lounge. In the unit, you can anticipate hardwood floors, stainless steel appliances, a dishwasher, a balcony and floor-to-ceiling windows. Cats and dogs are not permitted. According to Walk Score, the surrounding area is extremely walkable, is fairly bikeable and is a haven for transit riders. Next, there's this one-bedroom, one-bathroom residence situated at 319 Fayetteville St., #502. It's also listed for $1,700/month for its 998 square feet of space. Garage parking, an elevator and storage space are offered as building amenities. The unit features concrete floors, high ceilings, a dishwasher, stainless steel appliances, generous storage space and ample natural light. Good news for dog lovers: pups are welcome. Per Walk Score ratings, the area around this address has excellent walkability, is relatively bikeable and boasts excellent transit options. Here's a 925-square-foot one-bedroom, one-and-a-half-bathroom condo at 710 Independence Place, #303 that's going for $1,675/month. Apartment amenities include hardwood floors, in-unit laundry, a walk-in closet, a balcony, stone countertops, stainless steel appliances and a breakfast bar. The building features garage parking. Cats and dogs are not welcome. Walk Score indicates that the area around this address is quite walkable, is relatively bikeable and has excellent transit. 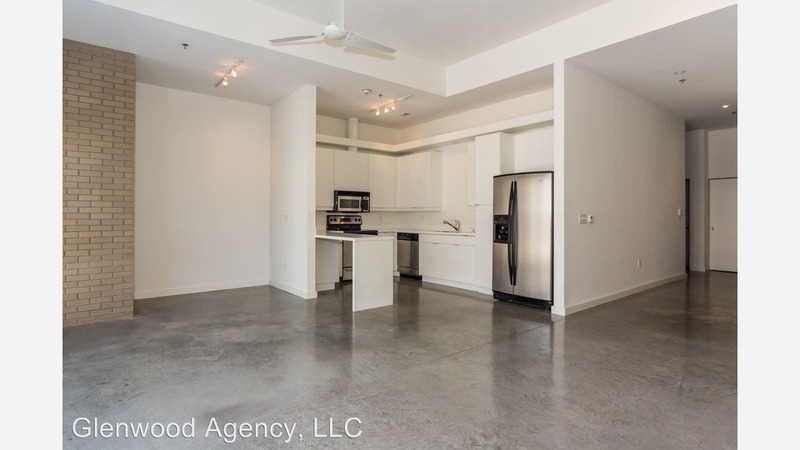 Check out this one-bedroom, one-bathroom condo that's located at 400 W. North St., #1004. It's listed for $1,650/month. The apartment features a mix of hardwood floors and carpeting, a dishwasher, stainless steel appliances, granite countertops and large windows. Amenities offered in the building include a swimming pool, a fitness center, storage space, secured entry and a roof deck. Pets are not permitted. According to Walk Score's assessment, the surrounding area is very walkable, is relatively bikeable and boasts excellent transit options.